Indianapolis (August 31, 2017) – Gearing up for the 2018 Regional Officer Training program (ROT), Phi Kappa Psi is in need of volunteer facilitators to aid in the execution of the program in 11 cities across the United States in January and February. Heading into its second year, ROT is a series of single-day, regional leadership training initiatives. Students and advisors from local chapters meet at a central location to learn the basics of their position, useful strategies to maximize their impact, discuss goal-setting as a chapter, and network with other brothers from their region. If you or someone you know is near one of these cities, has a passion for assisting fraternity men, possess excellent communication skills, and has Saturday availability in January and February, please apply to be a facilitator. Applications will be reviewed on a rolling basis and applicants can expect to hear from a staff member within two weeks of their application submission. 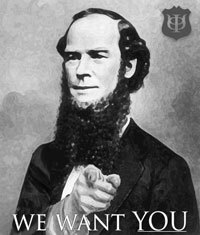 Questions regarding the volunteer positions can be answered by Senior Director of Member Development Kyle Hickman at kah@phikappapsi.com.